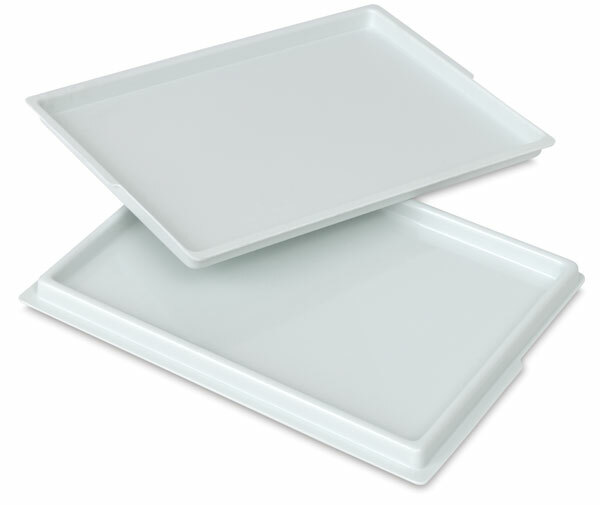 Suitable for use with watercolors, oils, or acrylics, this covered palette tray is constructed of extra-durable, double-thick, high-impact white polystyrene and features a tight-fitting lid. Oil painters find it a great way to keep their equipment neat and tidy while saving their paint for several days. Watercolorists who like to use butcher trays feel right at home because of its unrestricted work area.